We owe a world of gratitude to the men and women of the Denver Fire Department for the work they do around the clock, every day to keep our citizens safe and secure. 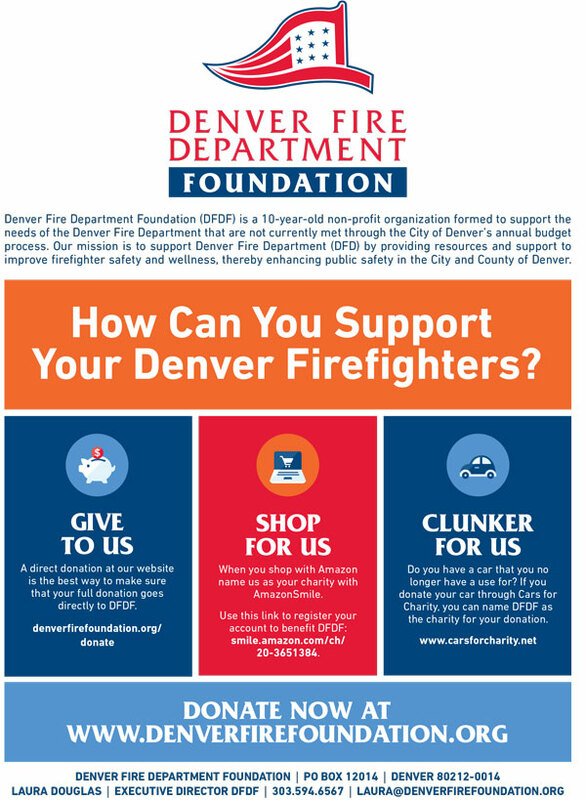 Founded in 2007 by Josh Hanfling and other business and community leaders, the Denver Fire Department Foundation supports our firefighters by educating the community about the Department and raising funds for firefighter health and wellness programs. The Denver Fire Department Foundation also promotes fire safety and prevention and works to improve the quality of life at local fire stations. You can help by participating in one of our events, volunteering, making a cash or in-kind donation, or just keeping up with us by joining our mailing list. Whatever you do, next time you see a Denver firefighter, say thanks and tell them you're a friend of the Denver Fire Department.